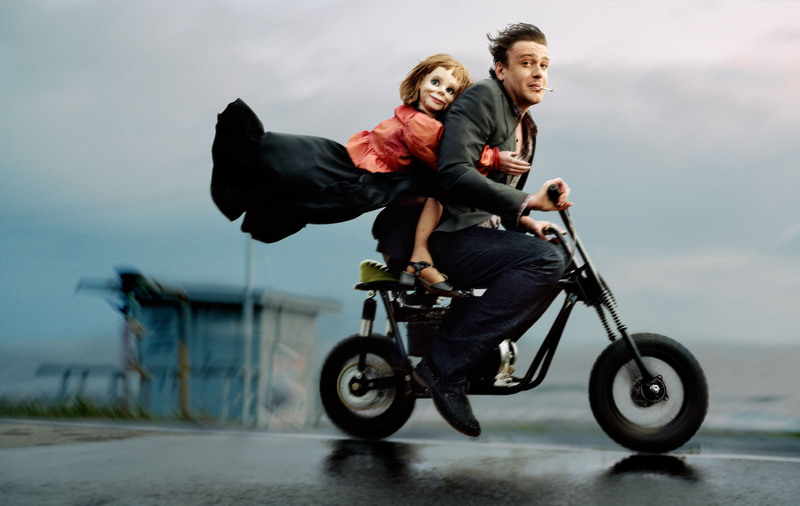 Jason Segel And His Doll. . HD Wallpaper and background images in the Jason Segel club tagged: jason segel photo image picture doll puppet hq photoshoot. This Jason Segel photo might contain motorcycle cop, motorcycle policeman, speed cop, and motorcyclist.